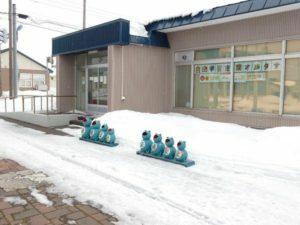 Introducing unique places and objects of interest in Rumoi Area. 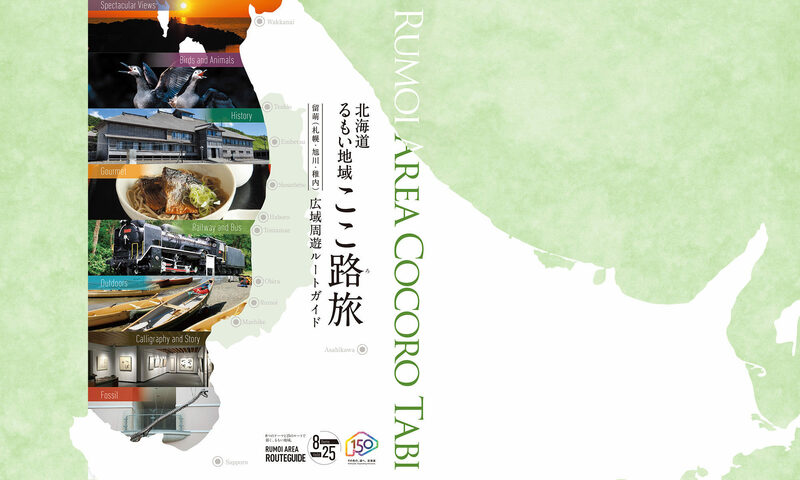 No map for those places is available, but you can find most of them along the routes introduced here. 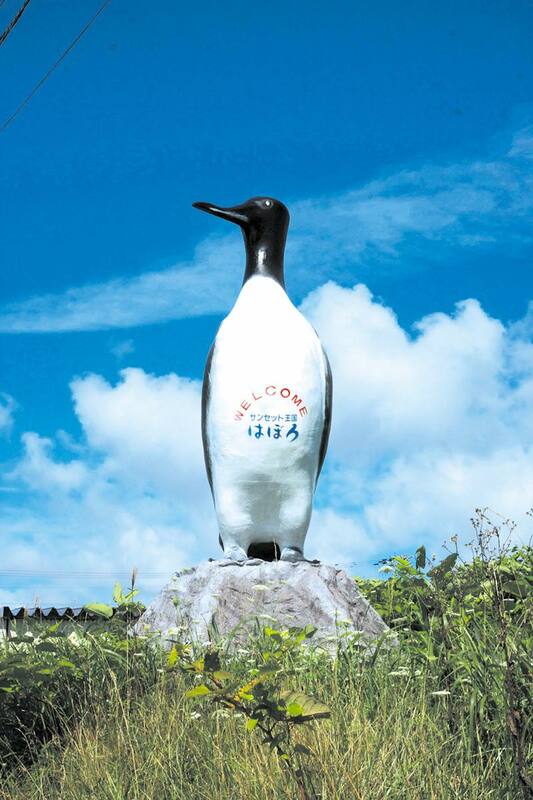 This is a huge, murre-shaped signboard, which you can see along the national road in Haboro Town and in Teuri Port. 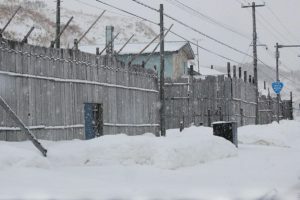 Driving along the Ororon Line from Obira to Mashike, you can see private houses surrounded by tall board fences, which were built in order to protect the houses from high waves and strong winds. 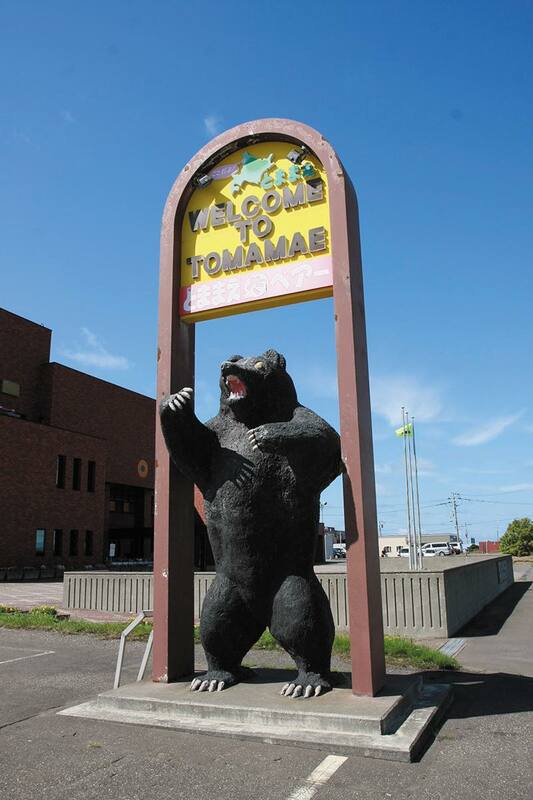 This is a huge, approximately 4 meter tall, bear-shaped statue standing in front of the Town office of Tomamae next to the national road. Students of elementary, junior high, and high schools in town drew this mural painting at the fishery harbor of Tomamae. 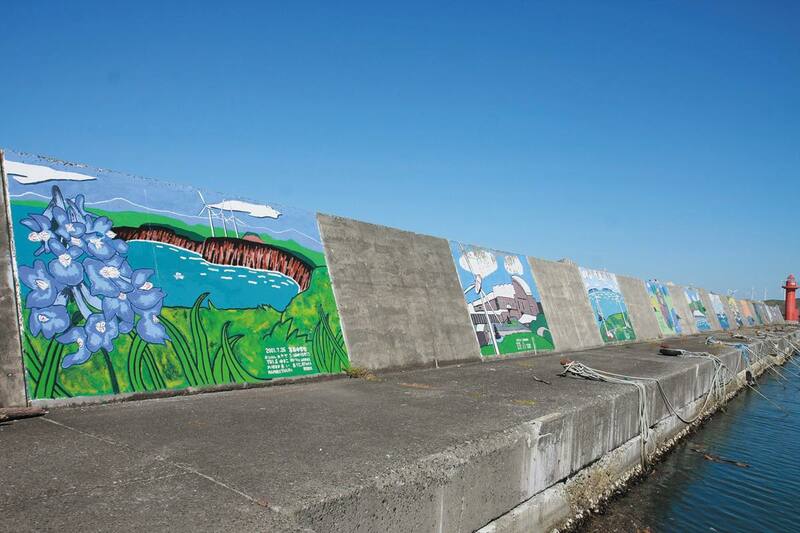 There are 11 pieces in this mural. 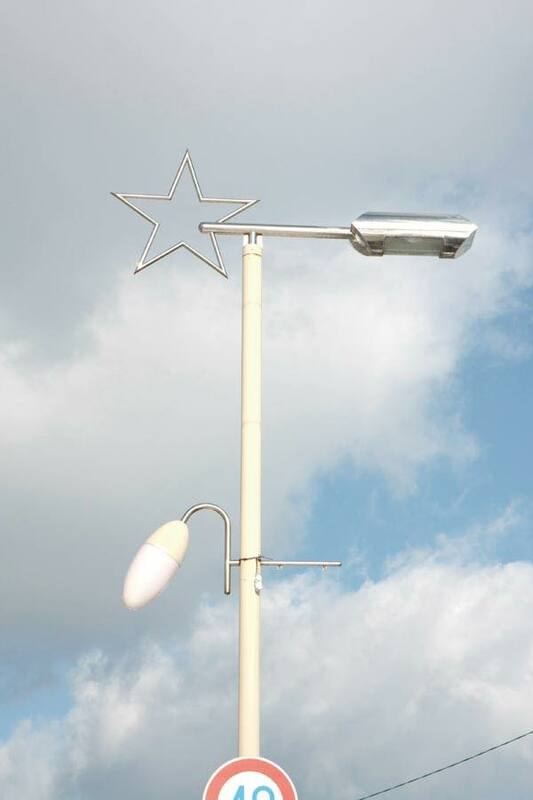 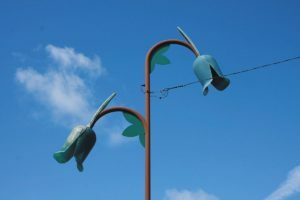 The streetlights here are shaped like “Ezo-Engosaku, which is the symbolic flower of Tomamae Town. 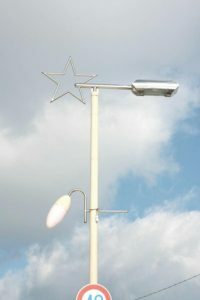 The streetlights line the road from the town office to the town center. The sidewalks in Shosanbetsu are decorated with the pattern of constellations. 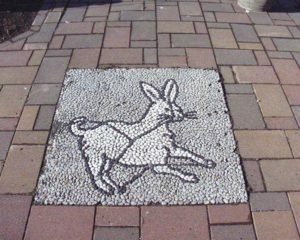 Have a fun walk! 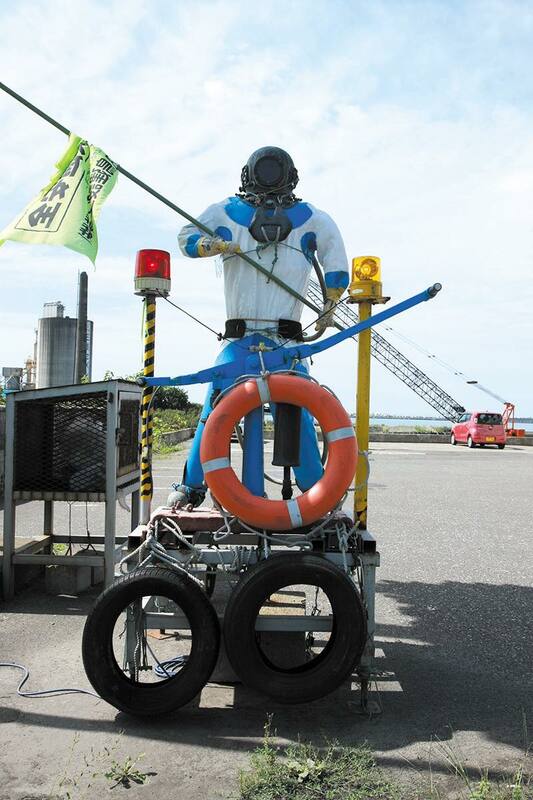 This is a diving suit clad mannequin called “The Third Diver”. It was created to promote road safety awareness. 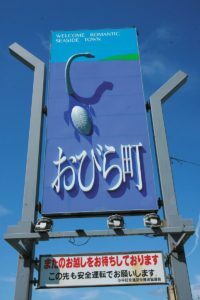 It is located on the side of National Route 232 at 332 Shiomi, Rumoi. 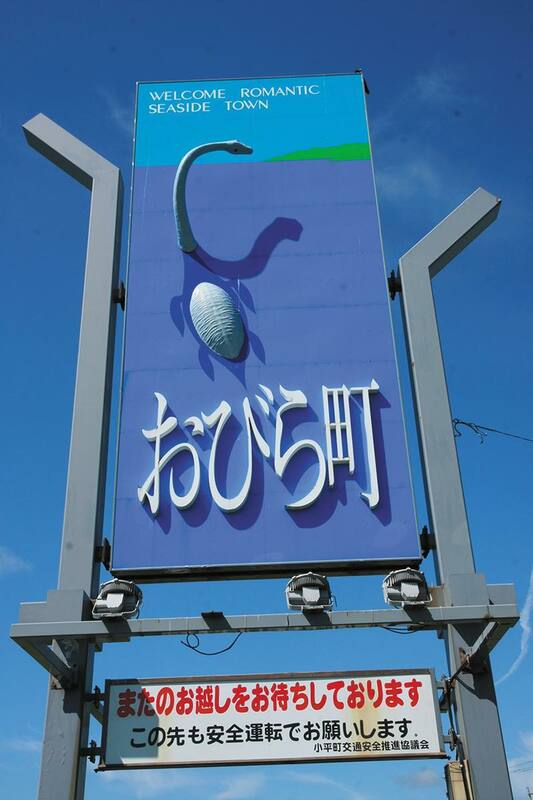 This is a plesiosaur-shaped signboard that you can find by the side of the national road in Usuya, Obira. 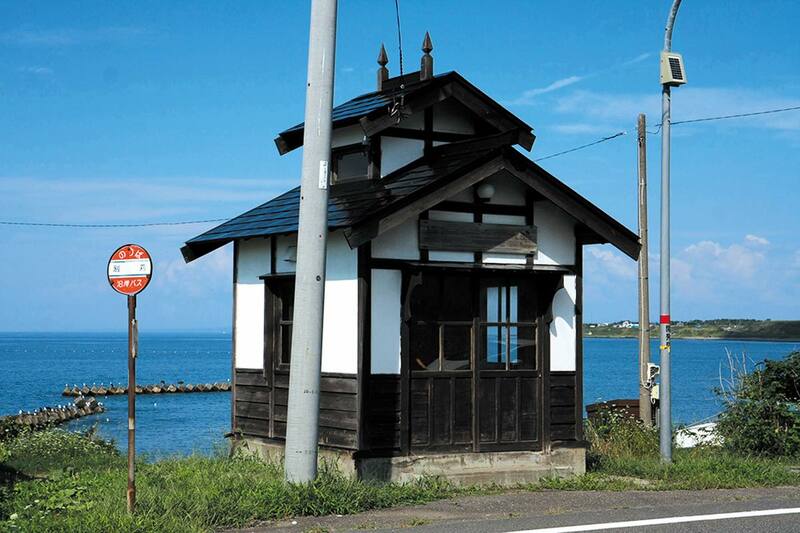 This is a bus shelter for Engan Bus routes. 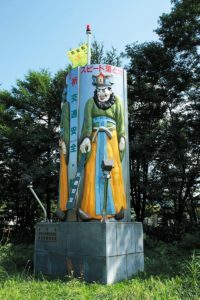 It is interesting that the shelter was modeled after Tokugawa era Jinya, or living quarters. 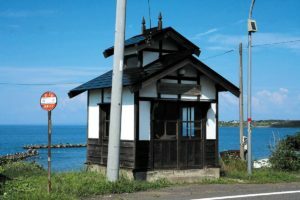 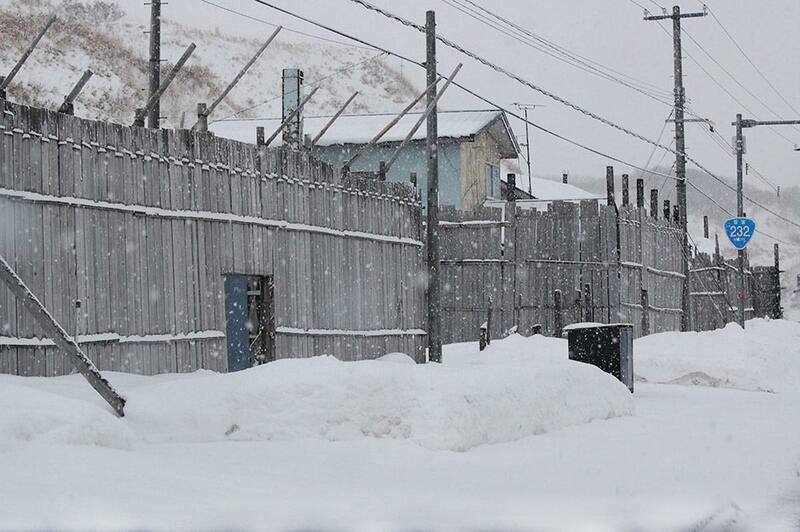 You can find many of the bus shelters on the side of the national road running through Mashike. This is an Enma (King of Hell) figured sign for road safety awareness. This scary visage works almost too well to grab drivers’ attention, so be careful not to take your eyes off the road while driving! 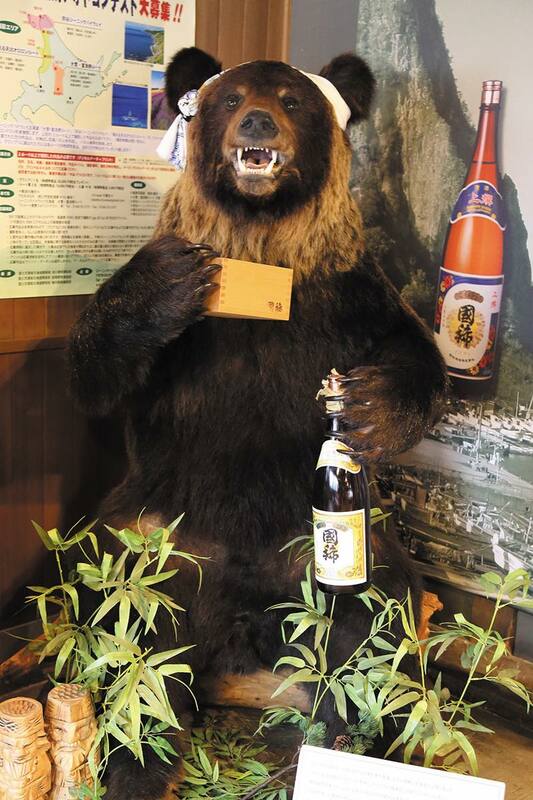 The stuffed bear placed at Kunimare Sake Brewery. He looks like a hard drinker. 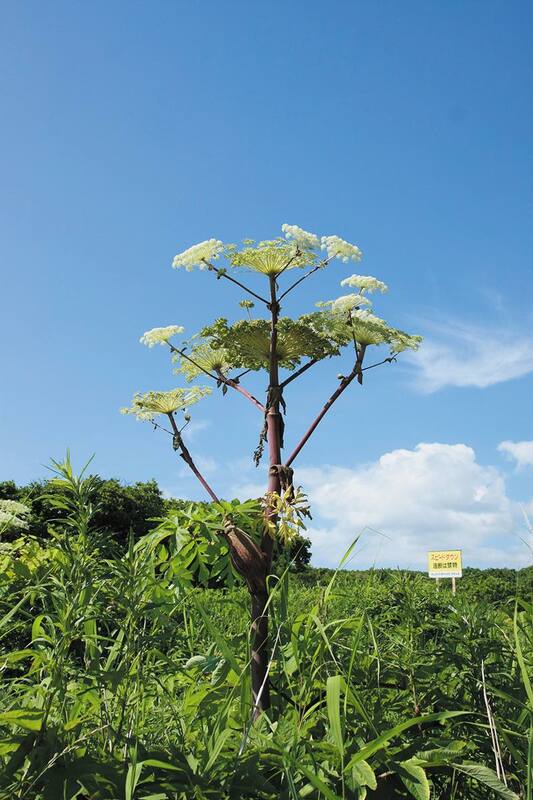 Ezonyu, or bear’s angelica, is a giant Umbilliferae species, which is also related to the plant known as Queen Anne’s Lace. This unique type of angelica plant grows to heights of 1-3 meters and can be found standing here and there along the Ororon Line from July to August. 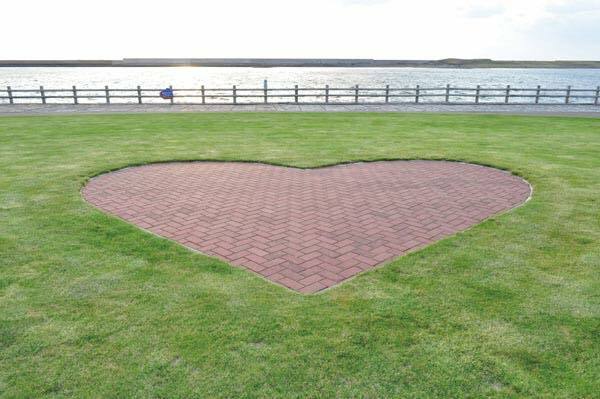 There is only one place where you can find a heart-shaped brick paving in the Teshiogawa Kasen Park. 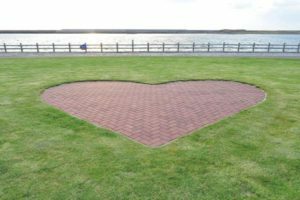 You may be lucky enough to find it! 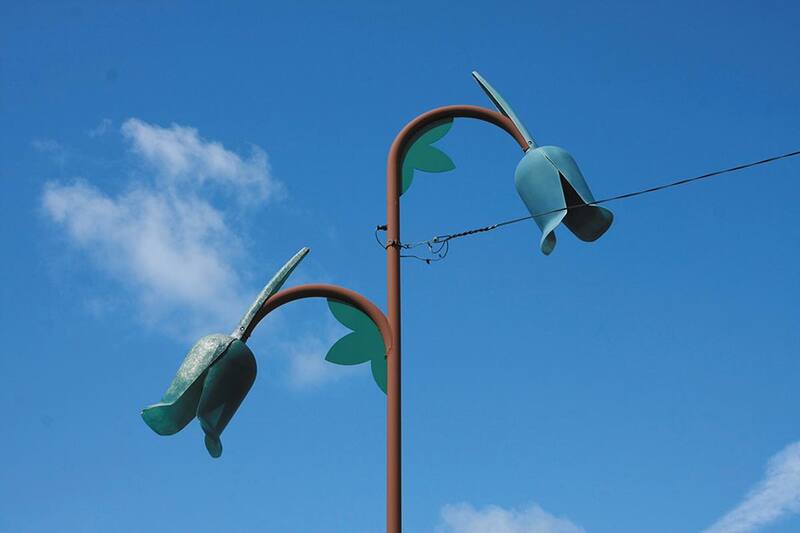 You can find some frog-shaped buoys next to the Tasedai Koryu Community Center Tsunagoya in Shosanbetsu.